Two males and one female were apprehended, Department of Public Safety Trooper Lt. Johnny Hernandez said. The female was a 16 year-old runaway from Edinburg, he said. The chase began on FM 1015 after police attempted to make a routine traffic stop. 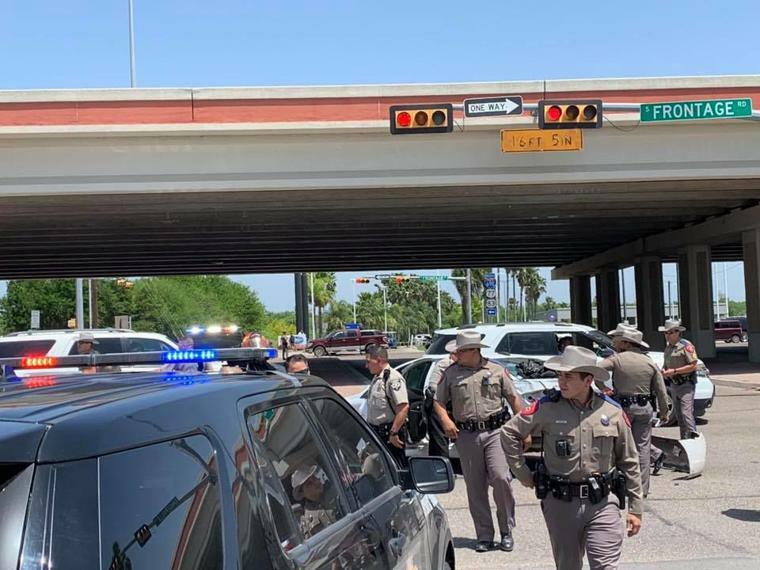 State troopers, constables, unmarked squad cars and local police were seen in pursuit with lights and sirens on the highway between 1:35 and 1:40 p.m., from the west and south through the Harlingen expressway interchange. The chase ended in a car crash between Rangerville and the frontage road in Harlingen. Hernandez said one of the three had an outstanding warrant for assault.